And yes, I also find the idea of a checklist scary. Aha! I see Caps Lock Steph made an appearance at the very end. She couldn’t stay away after all. 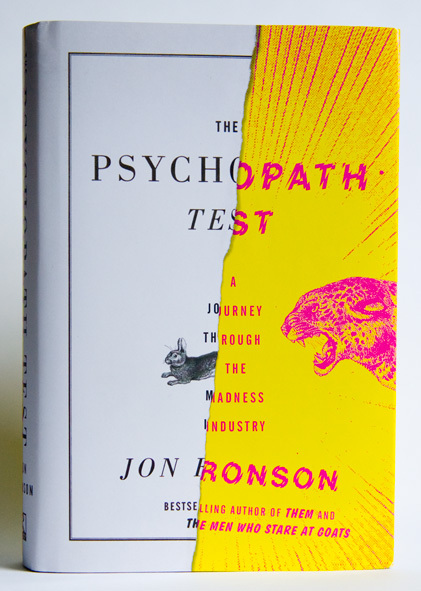 I’ve been wondering about this book, because I like Jon Ronson’s stories on This American Life, but I wondered if it oversimplified too much. The line between making something simple enough for a general reader to digest and oversimplifying to the point of error is a hard one to find. Sounds like this one doesn’t quite strike the right balance. @ Eva: I don’t read much non-fiction, so I’m sure I frequently have unrealistic expectations of it! I’m sure I also wouldn’t be so bothered by books that only skim the surface if I were reading about a topic that I personally hadn’t studied so extensively but just have casual interest in… There were certainly parts of this book that I thought were really interesting, but I found the final “take away” chapter to be really frustrating. @ Teresa: I have actually heard of The Sociopath Next Door (because it showed up when I was logging this into GoodReads)! Like this one it appears to have mixed reviews, but I do think it could be something I’d find interesting (and possibly frustrating) so even though this one didn’t work for me, I could see myself reading that one in the future (though probably I would just borrow it from the library rather than buy it). I just got a copy of this book, but I am not sure when I will get the chance to read it. I find your discussion on this one incredibly passionate and intelligent, and can agree with everything you have said here. I don’t think it’s cool to trivialize mental illness, and obviously there are so many different diseases and disorders on the spectrum that it seems sort of silly to tackle them all in one book indiscriminately. I also have a fascination with mental afflictions, and though I have not studied them directly in school, I do a lot of research on them and have studied them independently for years. I am now eager to read this one and see what I make of it, though I suspect that I would probably be annoyed with elements of it as well. I really appreciated your review on this one, and took away a lot from it. Thanks for being so thorough and honest. Your critique on this one was extremely valuable to me.